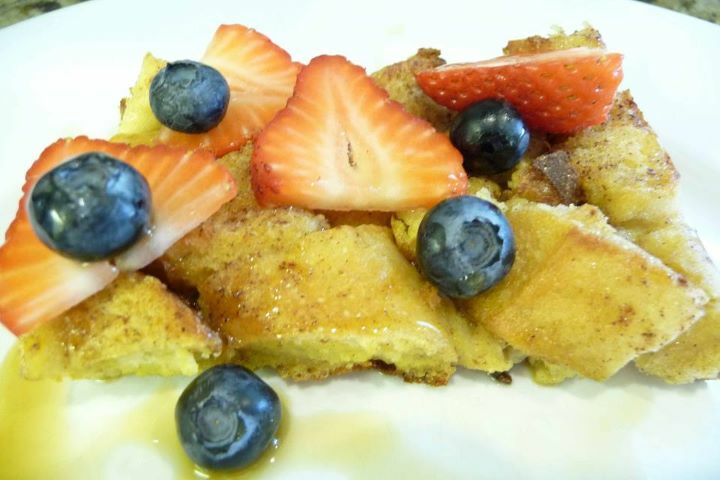 A delicious and wholesome version of the classic French Toast Casserole, this recipe is perfect for holiday entertaining and special gatherings with family and friends. To ensure even baking, it’s important that the bread cubes aren’t overlapping too much, because too much bread makes for a dry casserole. Sprinkle casserole lightly with additional ground cinnamon. Cut 1-2 tablespoons of butter into small pieces and evenly distribute across top of casserole. The butter adds flavor and keeps the casserole moist. Cut the bread into 1x1x1-inch cubes. 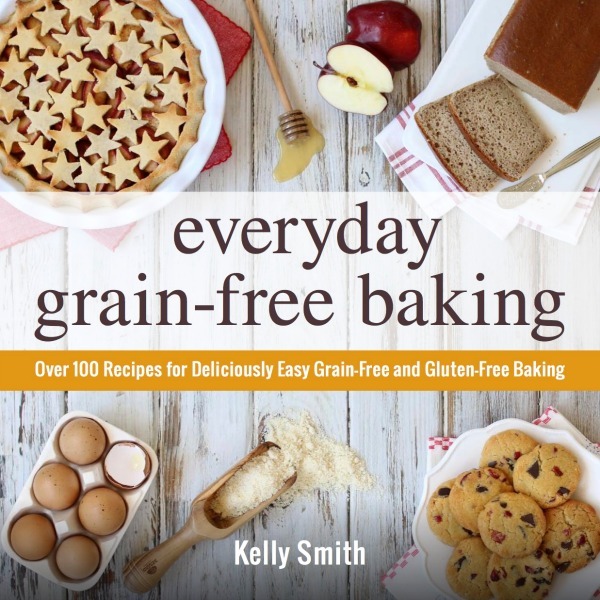 (I recommend my Cinnamon Swirl Bread from Everyday Grain-Free Baking.) You'll need approximately 6 cups of bread cubes – enough bread cubes to cover the bottom of a 9x13-inch baking dish without the cubes overlapping. 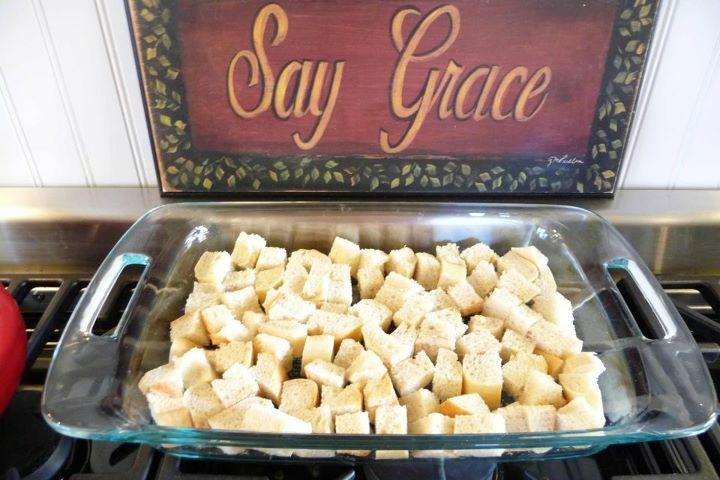 Remove bread cubes from baking dish and transfer to a large bowl. Oil the baking dish with coconut oil (best for non-stick baking) or olive oil and set aside. In a medium bowl, whisk together the milk, maple syrup, vanilla, cinnamon and salt until well incorporated. Then whisk in the eggs and beat until frothy. Pour the egg mixture over the bread cubes. Using a rubber spatula, mix until bread cubes are well coated in egg mixture. Transfer bread mixture to the oiled baking dish and use spoon to evenly distribute the bread cubes across bottom of pan. Sprinkle casserole lightly with additional ground cinnamon. 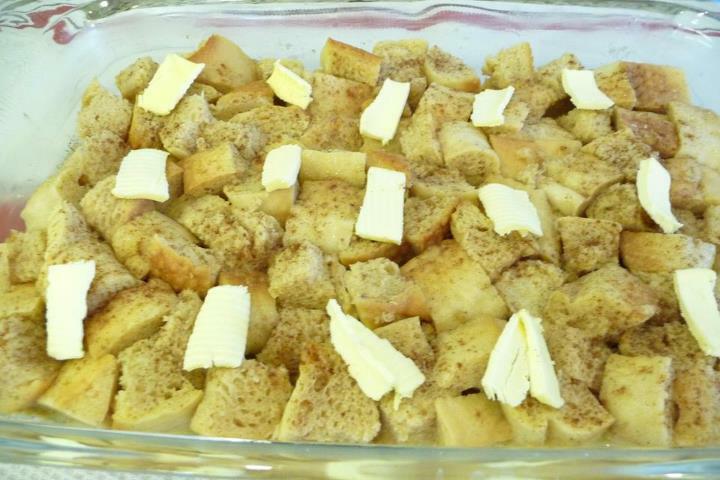 Cut 1-2 tablespoons of butter into small pieces and evenly distribute across top of casserole as shown in photo below. Cover with foil and allow the casserole to sit about 10-15 minutes so the bread can absorb the egg mixture. When ready to bake, preheat oven to 375 degrees. Bake covered for 20 minutes. Then remove the foil and continue baking for another 22-25 minutes. Allow to cool about 5 minutes. 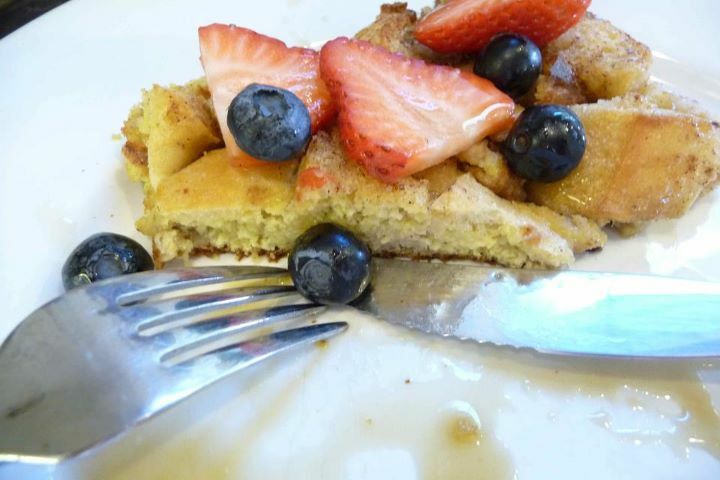 Serve with a drizzle of pure maple syrup and fresh berries. Have you ever tried this with a GF bread? With GF bread can you still soak overnight or will that be to long? WE had this today – it was delicious! But, it really stuck to the pan…. I am wondering if we just didn’t put enough coconut oil down? Thanks! I am sure I’ll love it but (sorry if it is a silly question) how much is a loaf? Could you indicate an approximate weight? Thank you for your quick reply Kelly; you and your blog are awesome!